Nikko's Happy Holidays decorative design famous for its Christmas tree decoration adorned with gifts, toys, and stars. 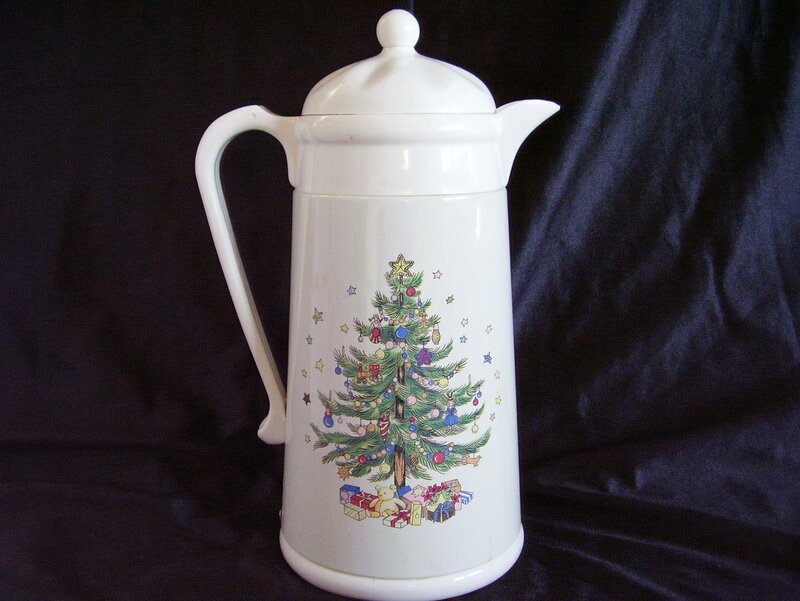 This Thermal Carafe features a removable lid with a convenient pouring spout and handle. Made by A.K. Das, it holds 32 ounces. 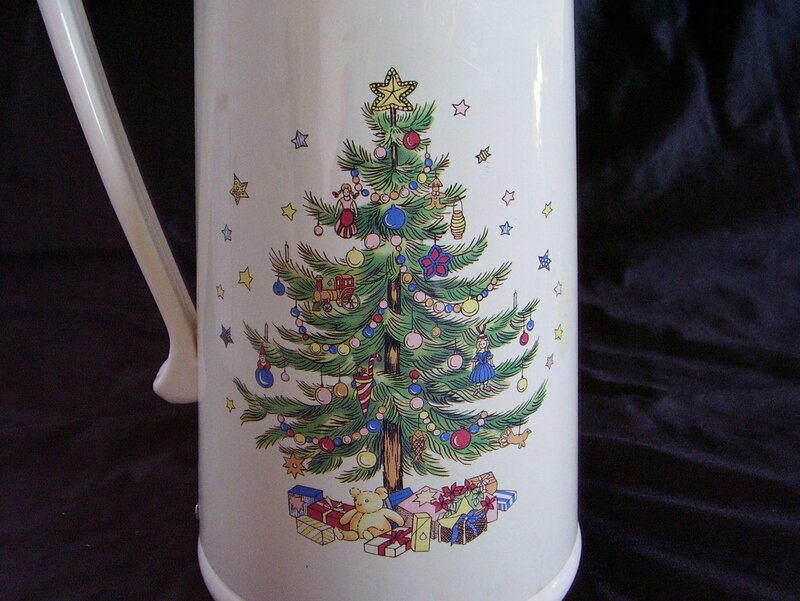 Nikko's Happy Holidays decorative design famous for its Christmas tree decoration adorned with gifts, toys, and stars. Enjoy Nikko's Happy Holidays collection as the perfect addition to your table throughout the holiday season, from Thanksgiving to New Years. 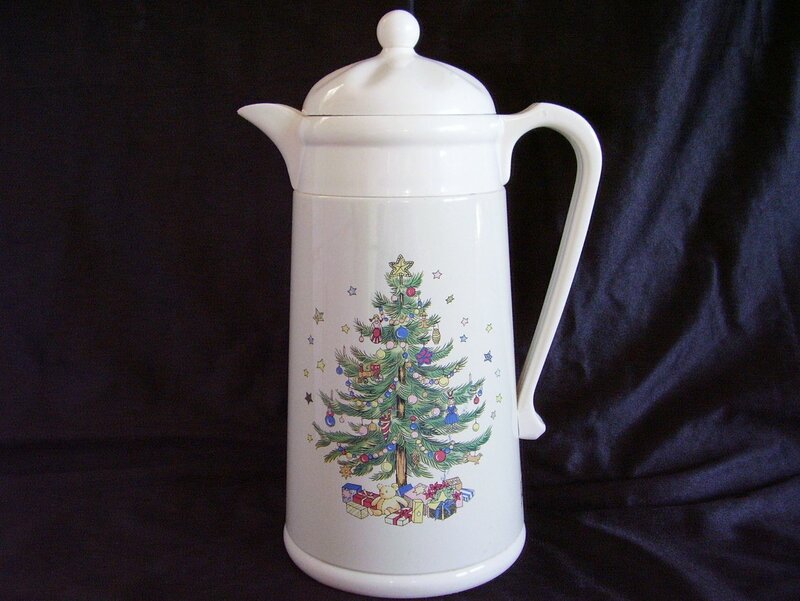 This Thermal Carafe features a removable lid with a convenient pouring spout and handle. Made by A.K. Das, it holds 32 ounces. Measures approx. 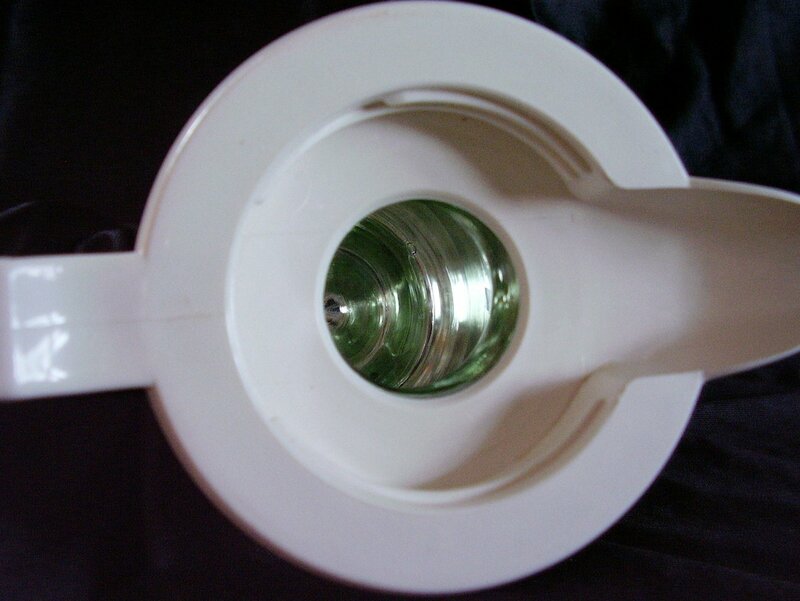 11.75 inches tall, 5.5 inches in diameter and 7.5 inches across the handle and spout. In good used condition, with some minor scratches and marks on the exterior. 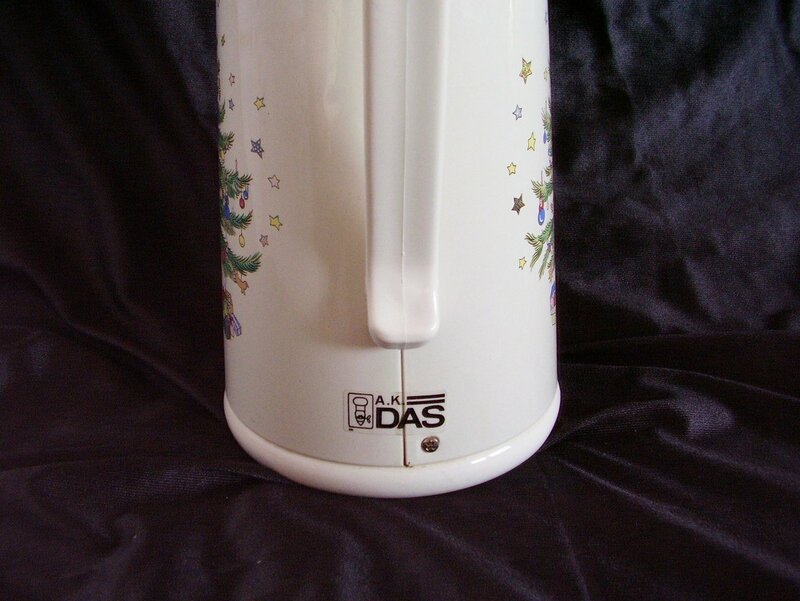 The glass thermos is in good clean condition and does not show any issues.